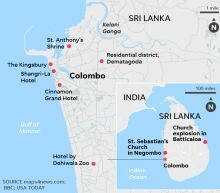 A series of bombings at churches and luxury hotels in Sri Lanka that killed more than 320 people on Easter Sunday were conducted "in retaliation" for mass shootings at two mosques in New Zealand last month, a senior government official said. "The preliminary investigations have revealed that what happened in Sri Lanka was in retaliation for the attack against Muslims in Christchurch," Ruwan Wijewardene, Sri Lanka's defense minister, told the country's parliament, according to the Independent. He said the death toll now stands at 321 dead and 500 injured. Boeing's revenue and profit fell in the first quarter from the global grounding of its 737 Max jets following two deadly crashes, but the company said it was making "steady progress" on a fix. The company on Wednesday reported a $1 billion increase in production costs connected to the 737 Max defect and warned that the crisis would force it to revise its earnings expectations for the full year. Boeing recorded revenue of $22.9 billion in the first quarter, down 2% from a year earlier and nearly matching S&P Global Market Intelligence expectations of $23 billion. The head of a far-right New Mexicomilitia group known for detaining undocumented families at gunpoint has been accused of claiming to train a group to assassinate Barack Obama, Hillary Clinton, and billionaire Democratic donor George Soros. The accusations follow after Larry Mitchell Hopkins, a 69-year-old who lives in a borer town near El Paso, was arrested on charges of possession of firearms and ammunition. 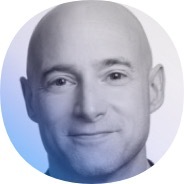 The FBI now claims that Mr Hopkins told witnesses during a 2017 investigation that his militia was planning to assassinate the three Democratic figures, according to Reuters. A newly released sketch of a man suspected of killing two Indiana teenagers was created only days after the girls' 2017 slayings, but authorities aren't saying why they held onto it for more than two years. Indiana State Police initially released a composite sketch five months after the February 2017 killings of 14-year-old Liberty German and 13-year-old Abigail Williams depicting a white man with a prominent nose and wearing a goatee, cap and hooded sweater. 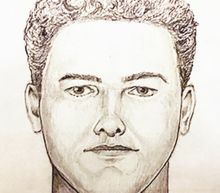 Master Trooper Taylor Bryant, the state police sketch artist who made the image released this week, told The Indianapolis Star on Monday that he drew it three days after the girls' bodies were found in a wooded area where they had been hiking near their northern Indiana hometown of Delphi. Could the suspect in the 2017 murder of two Indiana teens be hiding in plain sight? That is, unless you're in Florida, where being in the holiday spirit and donning an Easter Bunny costume doesn't stop anyone from getting into a heated street brawl in Orlando. A video, which was first posted by Instagram user Workfth but subsequently removed due to a perceived “community guidelines” violation, shows a friendly Easter Bunny getting right in the middle of a physical altercation between two men on a busy street. Curses are yelled, punches are thrown, and our furry friend is right there in the thick of it all. North Korean leader Kim Jong-un arrived in the Russian city of Vladivostok on Wednesday for a summit he is likely to use to seek support from Russian President Vladimir Putin, as Pyongyang's nuclear talks with Washington remain in limbo. The armoured train carrying Kim on his first official visit to Russia pulled into the quayside station in Vladivostok, on the Pacific Ocean, a few hours after crossing from North Korea into Russia. After a brief delay while the door of Kim's carriage was lined up with a red carpet laid out on the platform, the door opened and a smiling Kim stepped out. While the world waits for the next royal baby to make an appearance, the most recent little royal, Prince Louis of Cambridge, turns 1 year old on Tuesday, and three rare pictures of him were released by his proud parents Monday. Prince William and Duchess Kate of Cambridge "are delighted" to share three new photos of their third child ahead of his first birthday, as has become a Cambridge tradition for their offspring. Uncle Prince Harry and aunt Duchess Meghan of Sussex are due to welcome their first royal baby any day now, although they may not announce the news immediately and it will be a few days before they pose with the eighth great-grandchild of Queen Elizabeth II. Eastern Libyan forces said on Monday they would intensify an assault on Tripoli, the capital in the west of the country that is held by the internationally recognized government, as the death toll in a battle now in its third week rose to 254. The Libyan National Army (LNA) force loyal to commander Khalifa Haftar allied to a parallel government in the east has launched an offensive but has been unable to breach the southern defenses of the city. 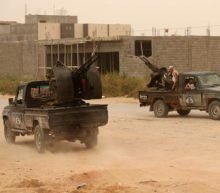 Forces loyal to Tripoli drove back the LNA in recent days to the southern suburb of Ain Zara, the main scene of fighting, Reuters reporters visiting the area said, even though the LNA said it had launched air strikes on military sites in the capital. Walgreens has decided to raise its minimum age for tobacco sales several weeks after a top federal official chastised the drugstore chain for violating laws restricting access to cigarettes and other tobacco products. Deerfield, Illinois-based Walgreens Boots Alliance Inc. said Tuesday that it will require customers to be at least 21 years old to purchase tobacco in any of its more than 9,500 stores nationwide. 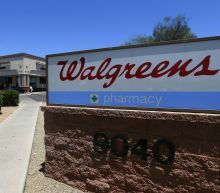 Former Food and Drug Administration Commissioner Dr. Scott Gottlieb said in March that Walgreens was a top violator of tobacco sales laws among pharmacies that sell those products. Campaign Trail Mix: Democratic presidential candidates are reportedly looking into where Mayor Pete Buttigieg might be vulnerable; Sen. Elizabeth Warren vows not to fall victim to sexist attacks; Sen. Amy Klobuchar has a 'please clap' moment. How did female candidates fair at town halls? Japan on Tuesday dropped the push to apply "maximum pressure" on North Korea from its official foreign policy, an apparent softening of Tokyo's position as major powers engage with Pyongyang. 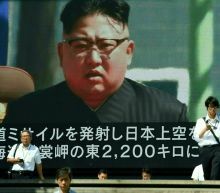 In last year's "Diplomatic Bluebook", published when tensions on the Korean peninsula were soaring, Japan said it was coordinating efforts with its allies to "maximise pressure on North Korea by all available means." But this language was dropped from this year's edition, drawn up after diplomats had "taken comprehensively into account the latest developments surrounding North Korea", according to chief government spokesman Yoshihide Suga. Sri Lanka's defence minister on Tuesday declared the attacks were retaliation for a recent attack on mosques in New Zealand, adding that two domestic Islamist groups were believed to be responsible. Ruwan Wijewardene's comments were made as the South Asian island held its first mass funeral for about 30 of the victims of Sunday's serial suicide bombings in three high profile churches and three luxury hotels. Sri Lankan intelligence has named the mastermind behind the Easter Sunday attacks as Moulvi Zahran Hashim, an extremist local cleric who incited his followers to violence with fiery sermons on his social media channels. 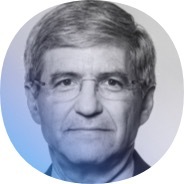 BOSTON – Michael Center, the former men's tennis coach at the University of Texas who prosecutors say took a $100,000 bribe in the college admissions scandal, is expected to plead guilty in federal court Wednesday afternoon. 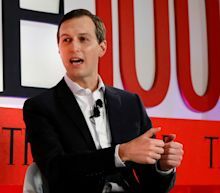 Center signed an agreement with federal prosecutors this month admitting guilt to conspiracy to commit wire fraud and honest services wire fraud. He now heads to federal court in Boston before U.S. District Court Judge Richard Stearns, who will decide whether to accept the agreement.